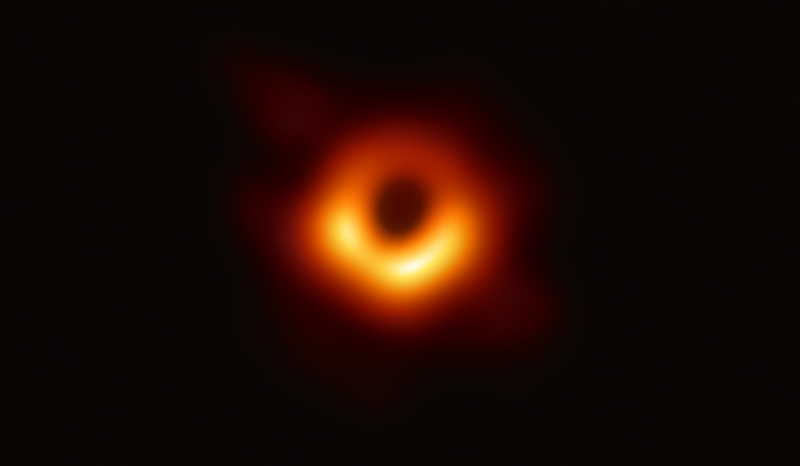 Image of the center of a real black hole in M87...not a former Manchurian POTUS or anything! It does, however, appear as though we're looking straight down a gun barrel. Black holes often give off high energy Jets. Hopefully....53 Million Light Years is far enough away that our planet won't be cooked if this one goes off! Meh, just gamma rays...far away...can walk that off...or turn into a giant green rage-monster. A CME launched by our own sun poses a more likely threat. And it must be glazed, eh?